The benefits of face-to-face business advice and mentoring are well understood but can sometimes be difficult to achieve. For instance, I’m often approached by people wanting to set up a meeting to discuss their new idea for a business or how best to move their enterprise forwards but when we find out where they are located, we can’t make the logistics work economically – it’s just too expensive to get both parties to a meeting! My solution is to use video conferencing to bring all of the upsides of a true face-to-face meeting but without the travel costs. If you decide that you would like to arrange an online session, contact me by email or phone and arrange a one hour meeting. You’ll get the most out of your session if you can outline the sort of things you think you need help with in an email before the session. Don’t worry though if you don’t really know what help you need. You might just want to discuss a business idea or even just think you might like to start a business and want to find out a bit more about what’s involved. Come back to this page and pay for your session(s). It’s just £30 plus VAT for a full hour (£36 inclusive). Simply select the number of sessions you require and pay by credit or debit card by clicking the Pay Now button. If you haven’t already got one, set yourself up with a free Skype* account and let me know your Skype ID so that I can contact you at the start of your session. My ID is paradiddle54. At the agreed time I will contact you via Skype and conduct your meeting with you. Please note that I will only commence the session if it has been paid for. 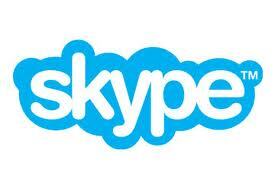 *Skype is a free video conferencing service that is quick and easy to sign up for. Click the logo to go their website. There is also a useful tutorial to get you started here. 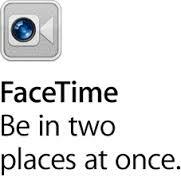 I can also offer Facetime as an alternative channel to video conference. This entry was posted on July 30, 2013 by Chris Greenhill.